Greetings! 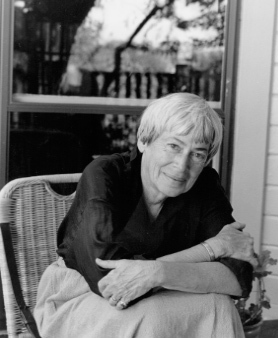 Welcome to Between Me and My Shadow, the TFL-approved fanlisting dedicated to a famous writer Ursula K. Le Guin (also known as UKL) and to her books The Left Hand of Darkness and the Earthsea series. Le Guin is one of my favourite authors. I think that she is one the brightest and the most inventive science fiction and fantasy writers ever. Please select from this menu the specific fanlisting (or fanlistings) that you would like to join. The only requirements to join are your name and country. If you have never heard about fanlistings before, here is a brief explanation: a fanlisting is simply an online list of fans of a subject, such as a TV show, actor, or musician, that is created by an individual and open for fans from around the world to join. They exist as a way to show your love or support. To link back to a fanlisting you've joined, you can use small images called codes or buttons. Codes/buttons are placed on your own personal website and are linked back to the fanlisting so that other people may see the code and know that you are a fan. If you would like to learn more, please visit The Fanlistings Network at thefanlistings.org. Ursula K. Le Guin was born October 21, 1929 in Berkeley, California, in the family of anthropologists. She graduated from Radcliffe College in 1951. Before turning to sci-fi and fantasy, Le Guin used to write poetry and novels about a fictional European country called Orsini. 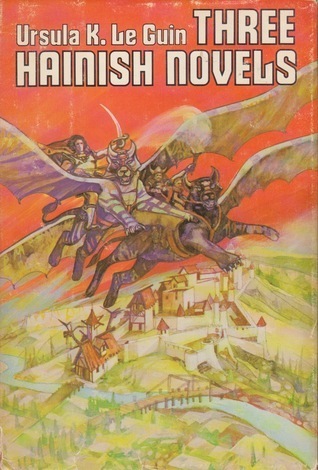 Those were later collected into Tales of Orsini (1976) and the novel Malafrena ( 1979). Her professional career started in 1961 with a story An die Musik, set in the Orsini universe. A year later, her first sci-fi story was published in the Fantastic magazine. Since then she has won numerous literary awards for novels and short fiction. Le Guin's most famous works include the Earthsea fantasy series and the Hainish Cycle science fiction series. Hain is a very interesting and unique world. It's a hypothetical supercivilization, the "mother" of all intelligent life in the Galaxy. It has its own original Galactic Federation named League of Worlds (or the Ekumen), based mostly on the principles of humanism and non-interference. League of Worlds does not rule or order, but only coordinates and watches the development of other civilizations. The Earthsea series started with a short story The Word of Unbinding (1964) and turned into an epic saga. Ursula Le Guin published six novels and eight short stories set in this universe. 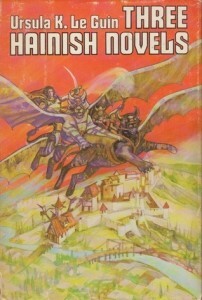 The books have sold millions of copies in the US and England, and have been translated into sixteen languages. 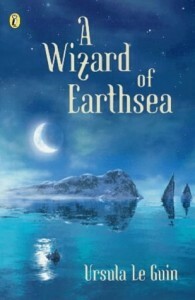 The world of Earthsea is technologically an early Iron Age society. The world consists of various islands inhabited by different peoples, who pray to different gods. The key elements of this world is magic, i.e. the magic of "true names", the language of truth which is spoken by the dragons. In Earthsea, wizards are involved in every aspect of human life. [it] is considered epoch-making in the field for its radical investigation of gender roles and its moral and literary complexity. The main character here is a powerful wizard named Ged (later nicknamed Sparrowhawk). After discovering an impressive magical talent in himself, he goes to a wizarding school. He inspires admiration and envy from other students, and, as a result, gets cocky and careless. The first and the rest of the novels cover various events in Ged's life. The website exists for nonprofit entertainment purposes only. Everything belongs to its respective owners, no copyright infringement intended. Between Me and My Shadow is a part of sleety.org and TFL, layout version 1.0. Graphics were done by me (deerstop) with Adobe Photoshop CS5 and coding with Notepad2. Fonts used: Vag Rounded and Wedding Text BT Regular, a photograph from Le Guin's official website, textures from Aethereality. Fight Spam! If you wish to contact me, please use this form.